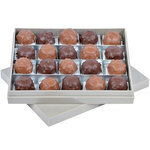 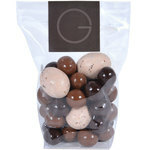 NEW: Mouth-watering chocolates in fabulous flavours! 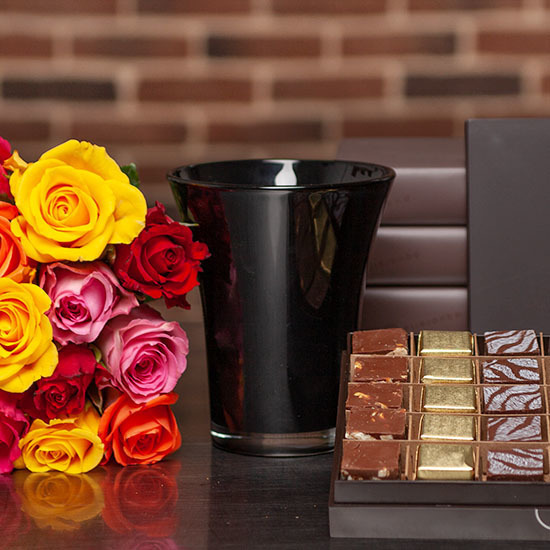 Discover our latest assortment composed of granitos - almond and hazelnut chocolate, gianduja with slivers of caramelised almonds, pistachios and crispy wafer - and 'carré or' chocolates mad of hazelnut gianduja. 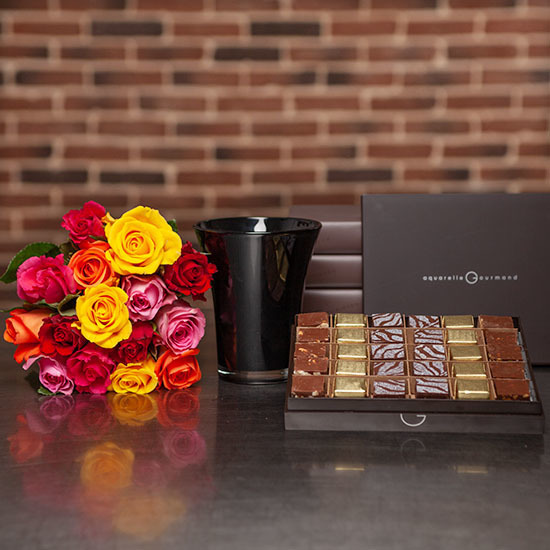 A delight for chocolate lovers. 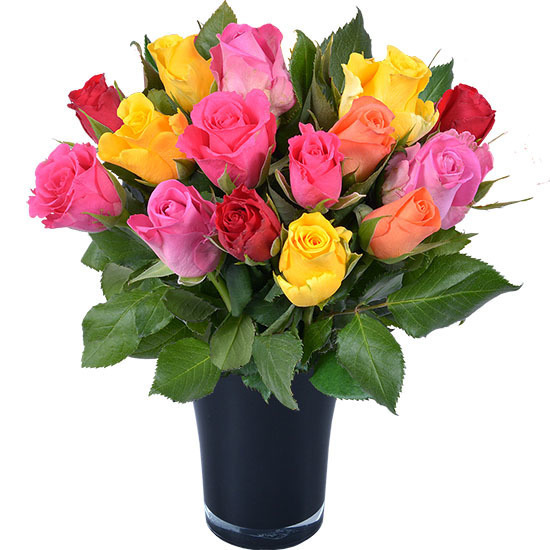 Your assortment will be accompanied by a charming bouquet of multicoloured roses and a FREE stylish 12 cm glass vase.